Would you pay £15 to swim through a bog? 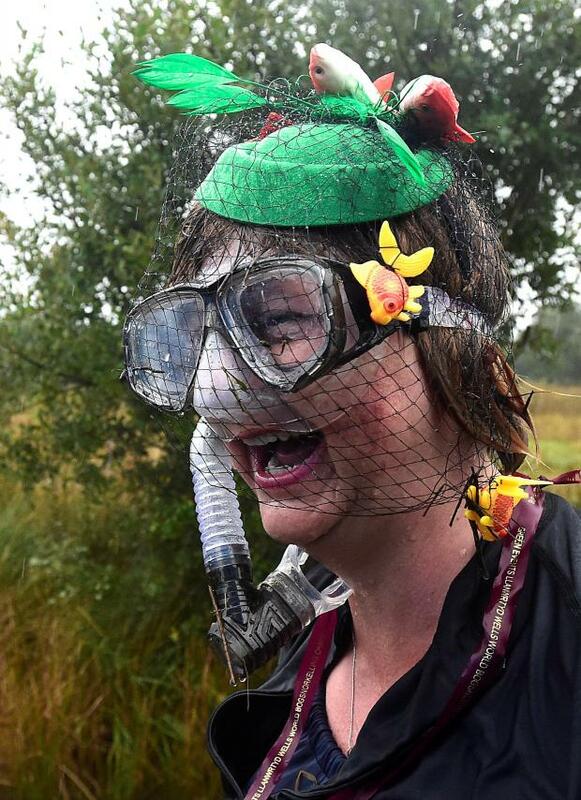 Scores of snorkellers braved driving rain this weekend to swim through a peat bog in the Welsh mountains in the annual World Bog Snorkelling Championships. 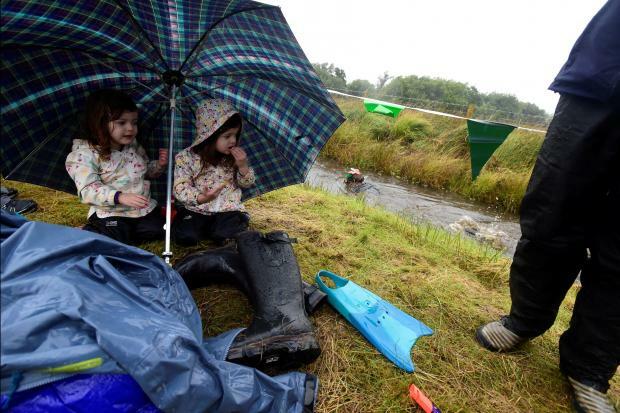 Part of the World Alternative Games, the championship, held in the picturesque Cambrian Mountains of mid-Wales near the small town of Llanwrtyd Wells, has now been running for 33 years but this year proved one of the wettest and coldest on record. 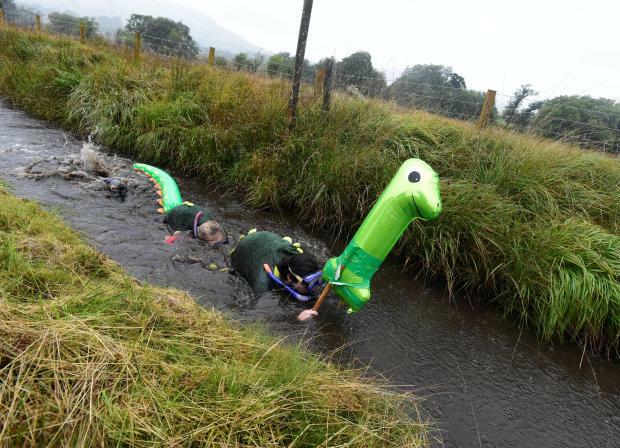 To raucous applause from spectators on the banks, many clutching umbrellas and wearing wellington boots, the 125 competitors had to swim two lengths of the murky, narrow Waen Rhydd bog, or 55 metres each way. Participants were dressed as mermaids, Spider-Man or even wearing boat or toilet seat replicas on their backs. Jess Smith, an American participant, described how she had to change her swimming style after swallowing too much bog water. "I just started to doggy paddle and come up for breath, and kicked kind of oddly," she said. The quirky contest began in a local pub when a charity was seeking some fundraising ideas. Competitors pay £15 to take part. The men's title went to Neil Rutter, a 34-year-old teacher from the southern English city of Swindon, who won it for a second year in a row and set a new record time of 1 minute 18 seconds. Elinor McCormac won the women's title.